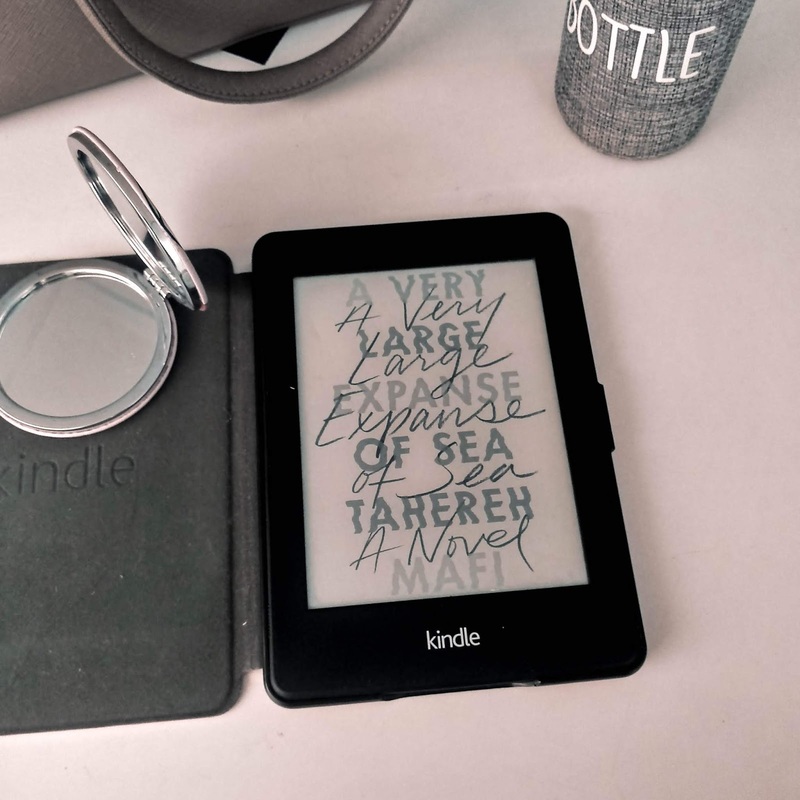 I am a fan of Tahereh Mafi since I've read her Shatter Me series and when this book came out last year, I've instantly added it into my endless TBR List. Last month, I came across an online book club on Instagram - @bookclubphilippines. The theme for the book of the month was Women Empowerment and they featured this book. I took that as a sign to finally open A Very Large Expanse of Sea and read it. I made a very good decision because this book is so good. I had little to no idea what this book was about. I mean, the title itself doesn't speak much, right? I didn't know what to expect, but when I started reading Chapter One, I was instantly captivated. The pacing of this book was so easy to follow and Tahereh's writing style in this one is sooooo vastly different from the Shatter Me books. A Very Large Expanse of Sea is set after the 9/11 terrorist attack and it follows a young Muslim girl going through her high school years. This book tackles relevant issues - racism, discrimination, bullying, and the like. It's a light read but there are so many lessons and thought-provoking things happening inside it. I loved reading this one that if I just didn't have to sleep, I would've finished it in one sitting. Another thing was the obvious cliches in the book. I know myself, and I don't really like obvious cliches but for this book, even though it has tons of them, it just works. I'm a little mad at myself for tolerating such. Like hello? A popular guy falling for the introvert, out-of-place girl? The main character not noticing the popular guy at first but ends up falling for him? A "forbidden love" due to popularity reasons? Girl, this book has lots of those BUT I DEVOURED IT AND LOVED IT. Tahereh Mafi's contemporary debut is a success, and I am looking forward to more books from her that's in this genre. Now let's talk about Shirin and Ocean. UGH, I love them. I love Ocean. 😭 He's the type of guy that I would fall for. The way Shirin went through every day without noticing Ocean, I just ate that stuff up, even though I know she'll fall for him in the end. Shirin's struggles were very relatable and there are so many times when I just exclaimed out loud how I agreed to her thoughts as I was reading through. This book had me reminiscing through my own high school experiences. And did I mention that this book is so much fun to read? There are lots of times that I just laughed out loud at the funny moments and squealed with delight when there were kilig moments. This book just made my heart light and I wish I could read it over again for the first time. I love Mafi's story-telling powers, everything coincided and well, you just have to read this book to know why I'm feeling the way I'm feeling about it. It's a masterpiece, a very well-written masterpiece.